Join us for Inspiration, Connection and a Great Time with Interesting Women! Women are Connecting and Empowering each other as never before. In fact, we are activating each other to lead and overcome our hesitation to bring our Wisdom and Brilliance into the world powerfully. The World needs us! 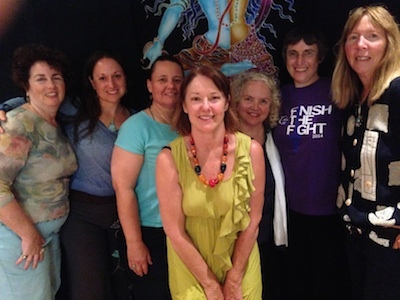 Take a look at this stellar line-up of presenters that will get you moving, feeling, and feeling bold and alive in sacred community…. Event descriptions are posted at Conference LINK along with registration information. Tickets are limited so we recommend to register early. Be a part of the creation of our dreams so WOW can continue to bring you quality programs for women! To become a member, you can pay either for a one year membership, or a recurring monthly payment of $10, $20 or more a month for our Sustaining Membership Program. 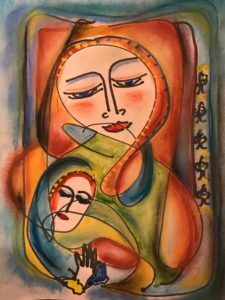 Support Women of Wisdom through PCC Natural Market’s Scrip Card, which you can purchase for $25. Shop at PCC with your card, and you can add money to the card to continue using it. PCC donates 5% to WOW! or you can mail a check to WOW. Living Tone as Healer…Rudolf Steiner was so brilliant! The Living Tone, or the “tone beings” are welcomed gently as the singers effortlessly float the most exquisite soft, yet clear, radiant vocal tones. The space is soft as well, the geometrically rounded arches within the room and the mottled rainbow colored walls bespeak of a special space. Soon, piercing, yet pleasing, tones ring from the metal gongs made according to Anthroposophic priniciples. (which includes periods of buriel within the earth). Intelligent individuals discuss the effects of changing orchestra tuning from 4430 to 440 and the effect on the human nervous system. This is not a futuristic occurance, but a group of present day workshop participants eager to learn and apply the principles of tone and musicality that the great philosopher Rudolf Steiner laid the foundation for many decades ago. The singers, teachers and musicians who are in attendance will adapt their new skills and awareness and take the magic back to their communities where children, the elderly and colleges will benefit from this “therapeutic” aspect of New music. The musical Impulse, as it is called in Waldorf school/Anthroposophical circles is timely for our society. Rudolf Steiner prophesied that our materialistic, sensory overloaded numbed society would be in great need of the new music and his spritiual/scientific methods would be of value to re-connect the human inner core to a more natural, healthful rhythmic state and being. The musicians thus schooled in these principles would be enlightened initiates and spread the seeds of healing tone through vocal, instrumental and instructional work. That within the work is carried the seed for human transformation. The new impulse takes the form of Schoolings, or courses given by advanced teachers, on various fronts. The Erythmy study is based on movement and rhthynm, restorative and inspirational. The Lyre is the gentle chosen instrument that has been embraced by the Anthroposophists and it’s reincarnation in the last century was achieved for this very use. It’s design and unique pure tone qualities are a living breathing extension of this work’s essence, bringing the inaudible to the audible…then back again. The National Lyre Association of America meets regularly to promote and enhance this forum. “New” instruments are used. The gongs are most wonderous, with their heavenly base notes and shimmers of overtones.They are available, to the connected and economically able, and come in every note and size. Rods, small chimes, and other instruments are also used in the workshops of tone and color, an extension of vibratory healing tone. The developing school of “Uncovering the Voice” is another branch of this work. It is this schooling, developed by the opera singer Werbeck Svardstrom that became my “spiritual path” for 25 years. The training that allows the singer to literally uncover, lift the veil from, the musculature/ego bound human voice to reveal the tone beings through pure sung tone in all their glory. 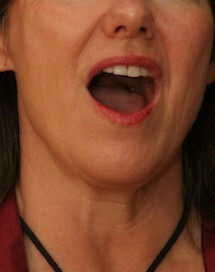 Theresa Shroeder Sheker, initiator of the Chalice of Repose project that assists the dying in musical vigil, states that the voice actually launches from the larynx, an alter of alchemy, where the oxygen, carbon dioxide, the intention of the singer…..all combine in such a way as to render a heavely sung tone. 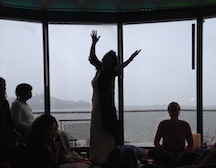 A golden moment of soul meeting the physical allows an outpouring of healing bliss for the singer and receivers. The study of the Human Voice and how we can diagnose imbalances in the body and apply corrective exercises is the Core of the Therapeutic Singing Program pioneered by Thomas Adam of Germany. I was fortunate enough to bring him here with a colleague and study with him for 4 years to understand the phonetics component coupled with breathing, movement and the astrological components of the human energetic field. In Germany, the Voice Therapists work alongside the physicians to re-work the bodily matrix through prescribed programs. Working with the Voice Bio technology developed by Kae Thompson I began to see the exact frequency correlations within the human voice and states of imbalance or disease in the human body. How working with tri-tone frequencies could actually “re-set” the energetic patterns back to a healthy vibrant state. Science proves what we intuitively know when ascertaining the exact area needing a shift within the human energy field through sound. 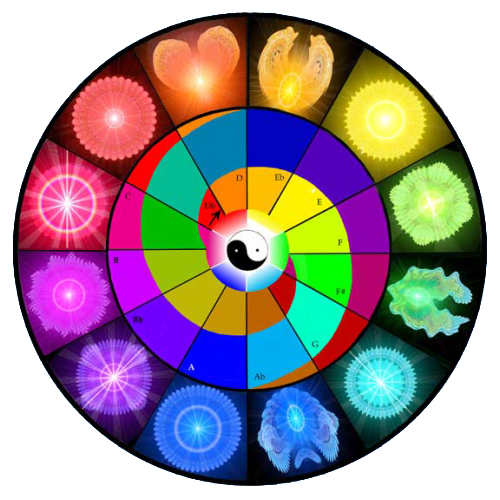 Not wishing to be bound by the confines of a particular modality, I began the extensive search of how to spiritualize matter through tone through the world of Sound Healing and skipped the actual certification for the course. Rudolf Steiner for your foundation for the cosmic magic, science and truth and Joshua Leeds for a scientifically based rendering of this field in a thoughtful, comprehensive applied way. Jan Cercone RN, MA, CMP is a Visionary with a focus on the re-balancing of human experience towards joy and wellness through New Models of Health Care and Sound and Light Entertainment Experiences, Women’s Leadership and the exploration of the New Relationship Paradigm. 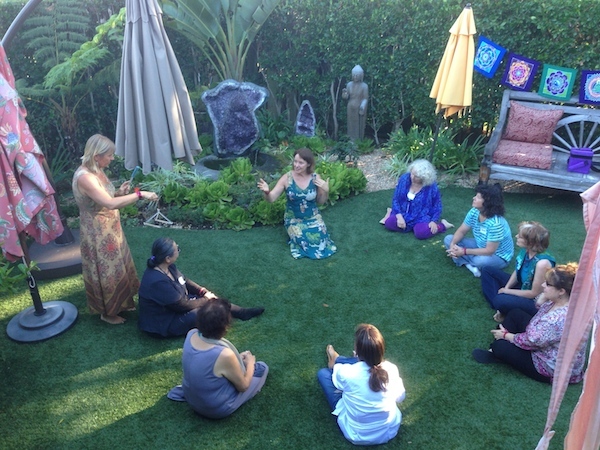 She is the Director of the Solara Healing Center, is a gifted Healer and Educator and was certified in the Uncovering the Voice Method of Singing. 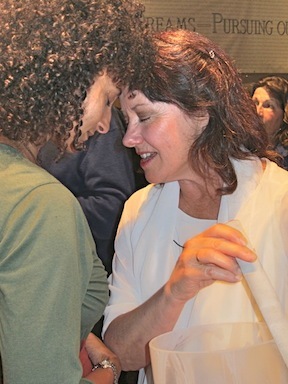 She is an Avatar Master, Omnium Graduate and teaches workshops worldwide on the Healing Power of Sound. Your health, vitality, relationships….your entire life is within the scope of your voice. You are extremely powerful. What are you creating each moment? When we combine the Sound Stream with intention, our breath and then words we have a loaded opportunity to do good, or not. Speaking is a voluntary activity that instantly aligns you with Divine Cosmic Energies. The zodiac forces are the consonants and the planetary forces are the vowels…so each word is an expression of cosmic formative forces…you are creating with your voice. The breath process ensouls us and we vibrate with all the galaxy when we speak even a simple word. Now that should inspire you to “lift” up your speaking to a place that is positive and life-enhancing. Each word counts. And the self talk we have in our heads is perhaps the most powerful. We are the children of our creator, and we do create with our free will. Align with the Divine and each day will bring miracles. Use affirmations and begin the day with stating what you desire to give and get. of the underlying inability to sound their voice and tell their own truth and its effect on long term health. Shutting down the complete spectrum of ourself, or hiding our true self by not speaking the truth will make us weakened and eventually sick. It is this disconnect that has dis-empowered us. Computerized systems shows the C note is low among women who subjugate themselves over and over which correlates with thyroid disorders. Their immune systems fail. Cancer can take hold with no buffer of immunity. We know how we got here…. conflicting societal expectations and security needs, along with our childhood programming. But now is the only place we have choice. I heard once that the fall from Grace occurred when man began to speak from his head and disconnected from his heart’s truth. What is it you really want to say? don’t say it till you have that connection, or integration of heart and mind to voice. People Hear what we are really saying anyway, words are a small part, so they only trust a person who has alignment with their emotional and verbal message. If you speak with compassion, there is no right and wrong and you cannot be responsible for the emotional reaction of another. Believe me, this is like dead heading the roses, as you prune out the old relationships built on falsehoods. Start safe; practice on small stuff, speaking the truth very clearly and strongly, then move up to the more emotionally charged topics. You will be very surprised at the results…People will take you more seriously; they will attentively listen with their eyes and want to talk to you! Don’t predict the answers, let the universe answer you. Be open to even higher solutions and directives that you can imagine. But it’s ok to ask specific questions too. You have a better chance of attracting with specificity, exactly what you desire when you do this. This seems so obvious but we have many covert operations when we even think of doing this. Here is where a bit of gender difference is good to note: In general, men love to “deliver” to women what they want, it makes them happy, so if you tell them what that is, they are relieved to know what to do. As beings of free will, we have a huge power here simply by remembering to ask. The angelic forces await our asking, they are our assistants in seeing that our true needs are met. Ask away!!! Modern science supports what the ancients knew, singing relaxes, nurtures and heals the body and soul. With the sound tools now available for toning we can harness pure tone, which is powerful concentrated vibratory therapy. New healing applications can track the effects on your “field” with specificity. I encourage you to just sing and tone according to your wonderful intuition with acoustical instruments Humming can rejuvenate the brain and body as well. There is a magical alchemy that occurs during Sound Healing processes with the voice that is profound. Shifts that occur through the voice actually re-program body area being expressed simultaneously. The releases are deeply healing. Your Voice is your wealth. Use it powerfully. If the “comfort zone” of your life is feeling not so comfortable, it is most likely related to the inauthentic voicings you are broadcasting out into the world. Make new choices. Sound the truth through your body and voice and be free. Sing or tone to expand the vibratory profile of your being. Make a commitment to have your voice come from that more “quiet space” within rather than the reactive automatic part and your life can change in…well…a moment! Within your voice lies the power of Heaven. Jan Cercone RN, MA, CMP is a Visionary with a focus on the re-balancing of human experience towards joy and wellness through New Models of Health Care, Sound and Light Entertainment Experiences, Women’s Leadership and the exploration of the New Relationship Paradigm. She has authored 2 books, is a gifted healer and provides Creative Inspirational Workshops on How Music Heals. Jan Cercone’s story of leaving safety and tradition to find her own voice and wings is an inspiration to women. She offers a heart-centered message full of hope.” Marci Smirnoff #1 NY Times bestselling author of Love for No Reason and Happy for No Reason. Using the Voice as an Intentional Healing Tool! Why does music affect the brain so powerfully? How does the patient with memory problems remember songs word for word? …and why should Hospice music have NO words? We often read about the power of music to engage the patient with Alzheimer’s and dementia. I saw this magical transformation many times weekly when I teach my music classes to the elderly through the Junior College Senior Program. Heads raise, feet start tapping and mouths form the words to songs from their childhood. Faces brighten and interesting stores are shared. The music brings with it a joy and the participation of seniors who are withdrawn or angry. It is very strange, like a wind up toy that enlivens during the song and then becomes quiet after the music. For awhile, they are a singer within a group, remembering shared historical experiences that have been paired with the music in their psyches. How can this happen for a person who can’t remember their name, or where they are? The brain is a complicated place that stores different sensory inputs in certain areas, almost like a computer has files. Deep in the long term memory these pulses of sound, rhythm and melody are paired with early memorable experiences and there they are permanently imprinted. Researchers tell us the brain stem, or primitive reflexes are involved. When a persons favorite music is played, or a special song, the evoked memories are pleasant. And this is something. This is something we can do for the patient with dementia. When family and friends, foods and environment fail to bring comfort to our loved one…..Music can be of great relief and service. It is something you can do easily. Putting on a CD or tape or singing with the patient is a powerful intervention. The important thing to remember about introducing music to a senior is to choose music they have liked or might like. And then carefully monitor their reactions and you will know which songs seem to bring comfort or response. Introducing instruments is especially powerful, as the patient can experiment and take joy in the lovely sounds it makes. My students loved bells, Tibetan instruments and drums. Without inhibition they seem to enjoy the experiential aspects and immediacy of their experience. The palpable joy, childlike was sometimes so heart-filling the hour long class would seem like minutes and the staff would come gather around to watch in wonderment. I had toddlers come into the Rest Home for parades and marches and singing the Itsy Bitsy spider doing the hand motions as a team. And just to keep myself in check, often a client might yell “you are a fake, come arrest her” or one woman said “you are angel, I see your wings and you can’t fool me” as she clutched her pink sequin evening back from her wheelchair. Music awakens. And it can also put us to sleep and take us to our final peaceful slumber. As a music practitioner who has made personal visits to the bedside of the ill and dying I see firsthand the beauty and power of music in these special situations. Music calms the family. I sang french songs for Frenchy, and camp songs, and then when the final hours come I sing angel songs. There is a science to choosing the music and the volume, genre, and delivery is all an art. Go ahead and put on Cds the the client loves. For some situations you may want to hire a professional to come in and play an instrument and sing for a loved one. This is a memorable, shared experience that is therapeutic and well-received. I tell people, “When flowers and chocolate won’t work” send music. New research and programs are being developed around music, healing and dementia and we are just beginning to understand what the Greeks understood through the Pythagorean music approach…Music is magic for the human body. We can measure the results, but exactly why or how music heals still eludes us. But perhaps that is just one more mystery of the great cosmic plan. Why does the sun rise? It just does. Why does music heal and soothe? It just does. So we should use this great gift freely and often. It is said that Music is the only thing that passes unchanged through the veils between Heaven and Earth! So we bring a bit of Heaven to Earth and assist the dying or tired to feel an inspiration and invitation to relax and restore and move on if it is the right timing. We can access the vibration of fear and resistance that comes with sickness, dying and accelerated degeneration and gently rock and release it with the correct intention and approach. Music soothes!! One significant experience recently brought me to a friend’s home to support her dying husband with only 6 weeks notice that he would die of pancreatic cancer. Agitated and flailing, he was upsetting the family in his distress. I simply took out my crystal bowls and began playing low solid relaxing tones and added my voice. I asked his angels to speak with him inwardly and make a bridge for him to relax and go home. My friend told me that I left and he immediately fell limp onto the couch, opened his eyes to say goodbye and died within 15 minutes. The Bridge had been made. Music that is free with no words or melody contains no anchor to memories so I use improvised tones that are gentle and non-repetitive. Once I drew a picture of my work at the bedside. Five beings in colored robes surrounded the bed of the dying client and there was an open space…I asked spirit “What is the open space?” I was told, that is where you sit Jan, and these angels form a circuitry within you so you can sing People Home. I like that idea. Thank you for sharing the Magic of Music for Memory and Hospice Care with me. 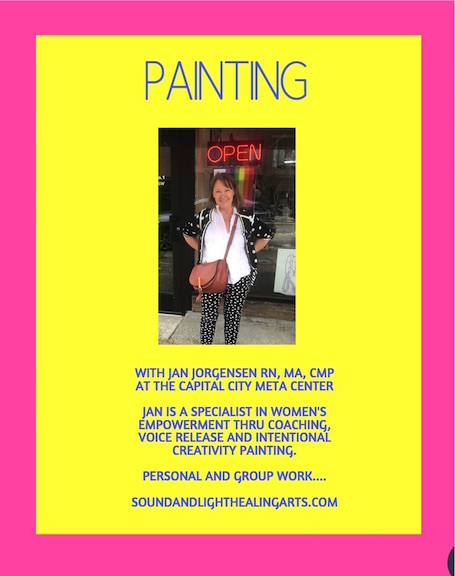 Jan is a Music Practitioner, RN, MA who Creates Inspirational Workshops and delightful experiences teaching how music Heals. She is a gifted healer, Sings like an Angel, Is a Minister, Avatar Master, Omnium Graduate, Author of two books and creates Sound, Light and Color Healing Events. 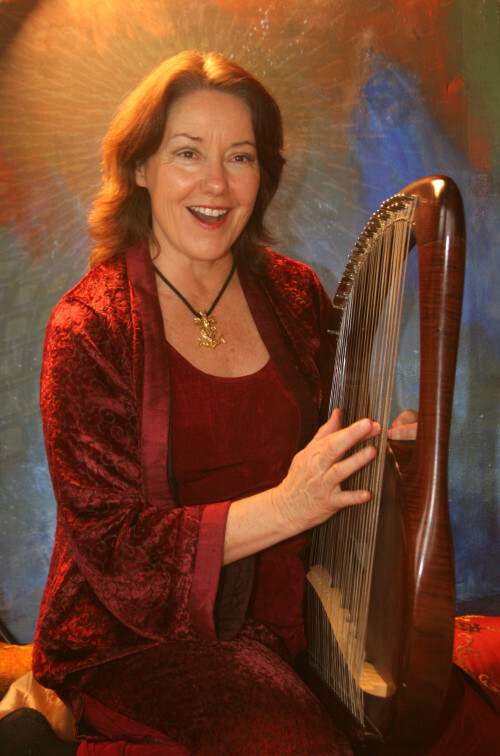 A frequent radio guest, Television guest on Channel 4, she travels widely demonstrating the healing power of Music. She is available for classes, speaking engagements and private music visits. 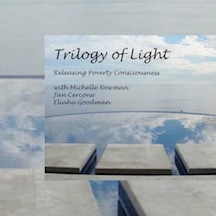 When Singer-Healer Michelle Newman called me about the poverty oath many artistic, loving people took somewhere along their timeline and asked if I would I be interested in helping clear it….I said yes. I have had an interesting relationship to money. In general, I have ignored it, just expected it would be there. I grew up dirt poor with holes in the bottom of my shoes with masking tape on the bottom. I was embarrassed when I knelt down at the front of the church for communion and my community could see the tape. As the sixth child in a family of ten, I worked at age 12 to afford my own hair brush. Flash forward to my 23 years of being married to an orthodontist and I was able to design my own office with 12 ft. french doors and have my home on Women’s garden tours for it’s immense beauty. I lived through the illusion that money buys us happiness as I went from being the little waif on the street with impetigo to the leader of the Women’s Dental Society with all the social status that implied. So, obviously I was the same person. Pauper to Princess made me very thankful for everything everyday. I laugh that I was very poor, then very rich and now I am just right. People treated me so different as I lived in these different worlds and I would feel sad when I could feel people needed to be my friend based on their love of my Villa home. It said a lot about them. I refuse to let what I have determine how I regard myself. I know it really has a lot to do with my resilience as my mother said, Jan, you can do anything you put your mind to. And when you are poor, you are creative and when you are rich you are creative in a new way. It is about our perception. I never felt poor, even when on food stamps in nursing school. And it is our thoughts, our beliefs that guide our ability to RECEIVE and get what we need. I always had what I needed, maybe not what I wanted. And what fills in the gap? FAITH. Believing spirit is in charge. Guiding. And we work together. I was told recently that I might never be rich doing spiritual teaching though spirit said if I “meet them” in the middle by using the internet I could live comfortably. So what message does spirit have for you around money? But that is just one aspect…..It is the unknown, or unconscious attitudes about money and our worthiness that make up 90% of our decisions. We watched our parents agonize over paying the mortgage. My father would say jokingly, we are going to the poorhouse. This shook me up. I saw the dark Oliver movie type steps leading to a brick dark underground room. So our early experiences do effect us. But, the even deeper lurking vibrational flows can come from other lifetimes and make us feel that wealth is not spiritual. This is known as an oath of poverty. Our consciousness now realizes the power of vibration and the attractions and that there really is NO lack. Having what we need does not take from another. We are each running our own little movie and we get to choose independently and radiate this reality outwards and it manifests. It is so simple. Yet, if the deep beliefs are not something you can pinpoint or see it is difficult to begin the healing if you can’t see the source or root. That is where Vibrational healing is magical. We can simply go into a light trance, ask our angels to locate the exact vibrational root and by our asking, or intending, we can re-program this aspect of ourselves. Then, we reap the benefits when we see our thinking and choices have subtly shifted. Relief follows…new income and surprises. Spirit promises to deliver if we work with them, and I have never been disappointed. My grandmother would say prayer can move mountains. And the same goes for bringing the “current” or flow into your home and life. My dear Artistic friends Michelle Newman and Eliahu Goodman looked at the gematria of money, the energy of the M word itself and realized it does not have a flowing aspect. So we encourage you to use the word currency for your abundance and flow. Current has an alive feel, a circuitry of sorts. So enjoy our unscripted meditation and you will receive the shifts simply by listening. Find a quiet space, close your eyes and FEEL the energy behind our words. The active principle of energy moving through you for the most benefit. It is time for us to thrive to achieve our goals, live into our mission and have happiness. It brings more to all when you are happy and radiant.